By Azzief Khaliq in Gadgets. Updated on November 19, 2017 . The smartphone game over the past few years has been dominated by the same old names: Samsung and Apple, plus a host of other manufacturers like LG, HTC, Sony and Motorola there or thereabouts in terms of sales and popularity. Well, recently a new phone is making its debut, shaking up the industry, as we have come to know it. That phone is the OnePlus One. 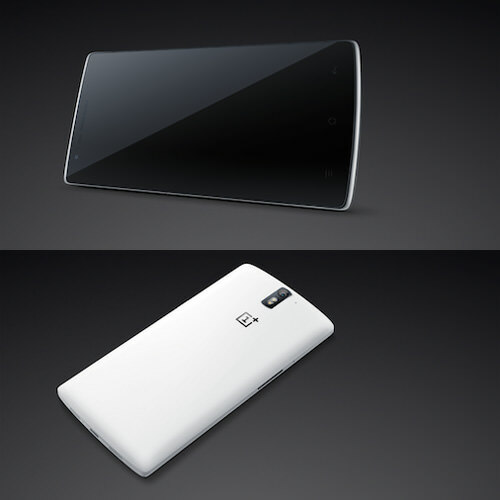 The OnePlus One is a 5.5" smartphone by OnePlus, a new start-up producer of smartphones, based in Hong Kong and Shenzen. It is founded by Pete Lau, previously VP at Chinese electronics firm, OPPO. The OnePlus One comes with a spec list that can rival even the very best phones soon to be released by the likes of Samsung and HTC. While it is not as revolutionary as Project Ara, it is still a phone that combines top-tier, flagship-level specifications with a decidedly mid-range price. In this post, we will pitch its specs against those of higher-range Android phones, namely the Nexus 5, HTC One M8 and Samsung Galaxy S5, just to give you an idea of why OnePlus One is currently making headlines. Skip right to the end for a table of comparison. 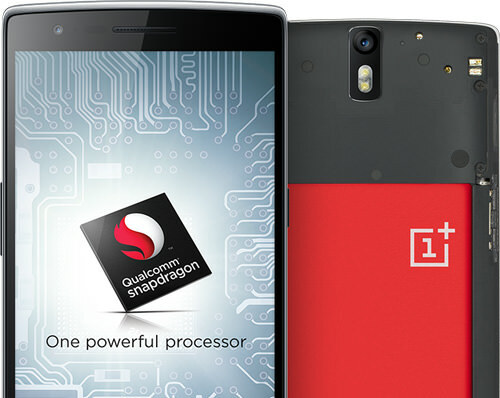 The OnePlus One packs hardware that rivals that of much more expensive smartphones. Here’s a quick look at some of the key specifications of the One, in terms of processing power, RAM, storage, battery capacity, and speaker and microphone replacement. The OnePlus One is powered by a state-of-the-art Qualcomm Snapdragon 801 quad-core processor running at 2.5GHz, with integrated multi-mode 4G connectivity – no need to worry about LTE bands – and a powerful Adreno 330 graphics processing unit (GPU). The One comes with 3GB of LP-DDR3 RAM, and has a 16GB version and a 64GB version. Both versions use the new, high-performance EMMC 5.0 for fast reading and writing of data. The One’s unremovable Li-Po battery has a 3100 mAh capacity. 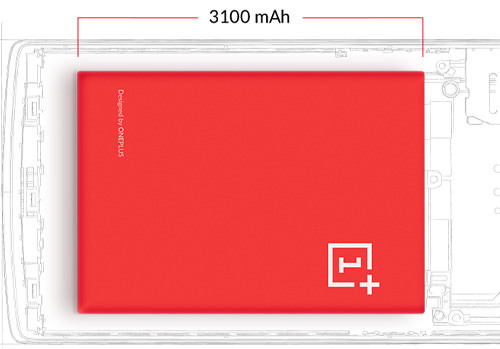 To improve battery life, the OnePlus One implements content-adaptive backlight control (CABC) and Display RAM (DRAM) technologies to reduce the amount of power consumed by the screen. The OnePlus One goes for a very sleek and minimalist look overall, especially noticeable in the lack of any branding on the front of the phone. It is available in two colors: Silk White (16GB) and Sandstone Black (64GB). The phone measures 152.9 x 75.9 x 8.9mm and weighs in at 160 g. The back of the phone is curved, with a taper of 4.6mm which the company claims will make it easier to grip. The screen is a 5.5" 1080p full HD display with Low-Temperature Polysilicon (LTPS) technology for a sharper image, like the Samsung Galaxy S5. The screen also uses Touch On Lens (TOL) technology, which improves touch response and shatter resistance, and is protected by Corning’s Gorilla Glass 3 technology (standard in most contemporary smartphones). 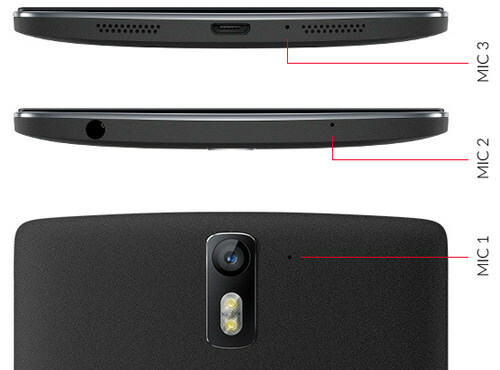 The OnePlus One has two stereo speakers situated at the bottom of the phone for better audio quality. The speakers are situated too close to each other to provide accurate stereo imaging, but it should still be better than the common monaural speaker on most smartphones. It also has three microphones for better noise cancelling and stereo recording. 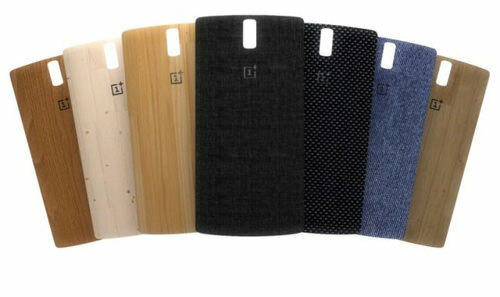 Like the Moto X and Moto G, the OnePlus One will support interchangeable back covers, called StyleSwap covers. These will come in a variety of materials and textures on top of the standard silk and sandstone finishes, including kevlar, bamboo and denim. 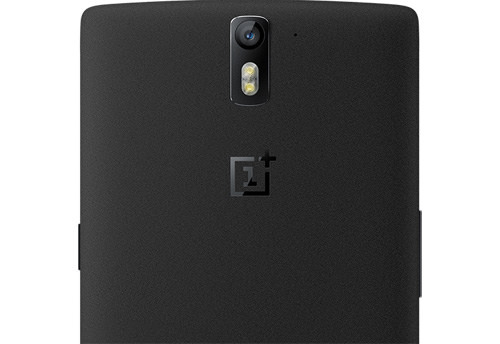 As with any smartphone worth its salt these days, the OnePlus One will have both front- and rear-facing cameras. The front-facing camera is a 5 megapixel lens with an 80 degree viewing angle, which should be great for squeezing in an extra person or two if you’re particularly fond of group selfies. The rear camera is a 13 megapixel Sony Exmor IMX214 with a large f/2.0 apeture coupled with a fast 0.3-second shutter speed. The camera is made up of six physical lenses to increase detail and reduce distortion. It also comes with image stabilization and slow-motion recording at 720p, and can record 4K video. The One also has a dual LED flash for improved flash photography. That said, the One’s camera setup is quite standard, and we won’t see anything like the HTC One M8’s Duo Camera setup. The OnePlus One runs Android, but it’s probably not the Android operating system you’re familiar with. It runs a custom variant of Android, CyanogenMod, which makes it only the second CyanogenMod smartphone in the market, after the Oppo N1 CyanogenMod Edition. However the OnePlus One goes a step further than the Oppo N1 by running a tweaked variant of CyanogenMod. Dubbed CyanogenMod 11S, the CyanogenMod install you’ll experience on the One will feature a flat and minimalistic UI complete with custom themes and icons designed specifically for the device. CyanogenMod 11S also has some features that you won’t get in a standard CyanogenMod 11 installation. OnePlus also claim that the One will receive OS updates for at least two years. 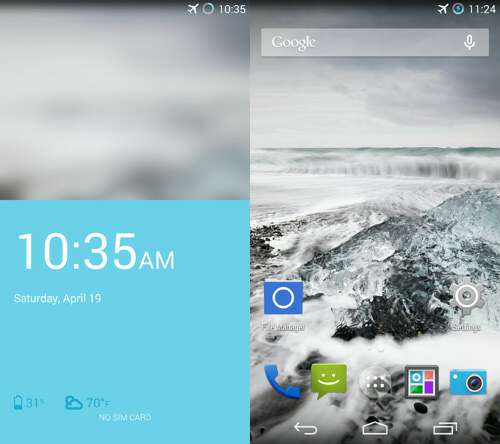 The OnePlus One, by virtue of its custom CyanogenMod 11S operating system, manages to bring a unique user experience that differs not just from stock Android, but also from the custom CyanogenMod ROM that it’s built on. Here are some of the more interesting differences. The OnePlus One benefits from most of features you’ll find in a standard CyanogenMod build, including SMS encryption, app privacy guard, a file manager, audio equalizer and improved camera application. There are also a few CyanogenMod 11S-specific features, one of which is the ability to toggle between capacitive and on-screen buttons. The OnePlus One also has hardware-accelerated scrolling in WeChat. CyanogenMod 11S gives you access to some very handy screen gestures that can be used even when the screen itself is turned off. For instance, you can double tap to turn the One’s screen on, or you can draw a simple image on the screen to launch an app directly without having to wake the phone first. Some of the gestures enabled by default include drawing a circle to launch the camera and a "V" to turn on the flashlight. The OnePlus One takes advantage of both CyanogenMod 11S and the Qualcomm Snapdragon 801 processor to provide a Voice Wakeup feature that’s similar in functionality to the Moto X’s Always Listening feature. "OK, OnePlus" will wake the phone up and launch Google Now by default. The One’s voice recognition capabilities can also be used to perform tasks even when the phone is locked. The pricing is definitely the biggest appeal of the OnePlus One. 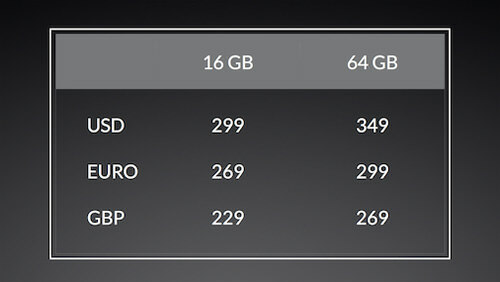 The 16GB OnePlus One will cost $299 in the United States, €269 in the European Union, and £229 in Great Britain. The 64GB model comes in at $349, €299 and £229. Do bear in mind that these prices are unlocked and without a contract. The OnePlus One’s top-of-the-line hardware specifications don’t come with the hefty price tag you’d expect; the price is on-par with the Nexus 5 and is just about half that of other flagship-spec smartphones such as the Samsung Galaxy S5 and the HTC One M8. Here are all the pertinent facts you’ll need to compare the OnePlus One to some of its direct competitors. The Galaxy S5 and One M8 are in the list due to the similar specifications, while the Nexus 5 is included by virtue of the similar pricing.